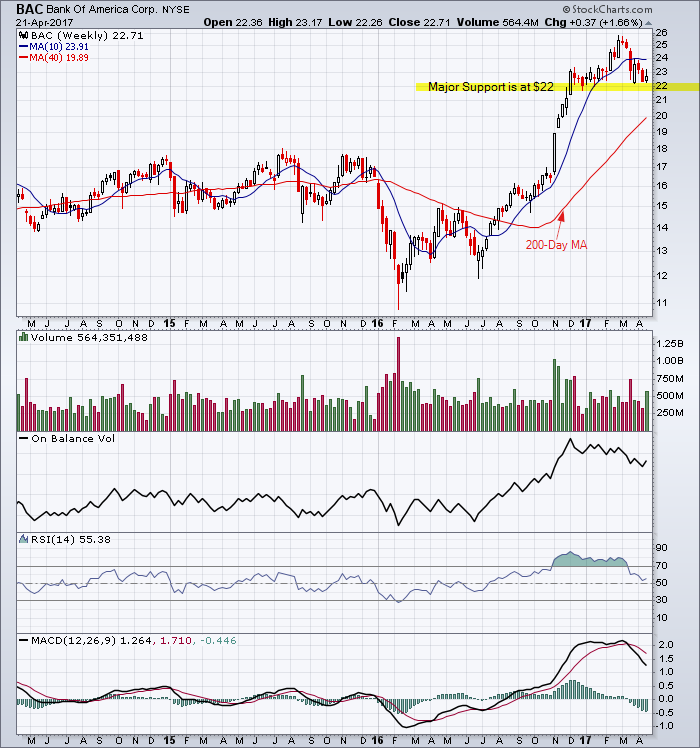 Major uptrend and intermediate uptrend for Bank of America. The near-term downtrend is testing the $22 support level. This could be an entry point. Click here for a live version of the weekly candlestick chart for Bank of America. This entry was posted in Stocks and tagged Bank of America, chart on April 22, 2017 by Trader.